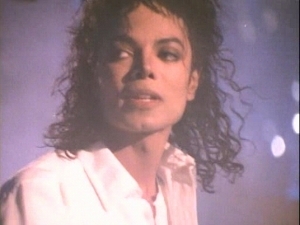 I bet you don't know the real story behind the infamous woman that Michael sings about in his hit song "Dirty Diana." Well, she's here to inform you about how it really went down! Diana Corrine Payne was a model back in the 80s and had a little midnight rendezvous with the one and only Michael Jackson. Tired of all the "he-said she-said" and constantly hearing Michael say "Dirty Diana" is merely a song about "groupies" inspired by the lives of other men, Diana has decided to bear it all. However, she's only bearing it all to you and only you...not the unscrupulous media. I bet you have a lot of questions for her. But the real question is...is she as dirty as Michael painted her to be? "Dirty Diana, Revisited" is a short story. This story is Rated R! There is suggestive and inappropriate language in this story, so reader discretion is advised! Disclaimer: All publicly recognizable characters, settings etc. are the property of their respective owners. The original characters and plot are the property of the author, DeeDee11, because it is her original story. Original characters and storyline are fictional. If there is a resemblance to non-fictional accounts, it is because the author drew inspiration from real life events or hearsay. The author, DeeDee11, is in no way associated with the owners, creators, or producers of any media franchise. No copyright infringement is intended.